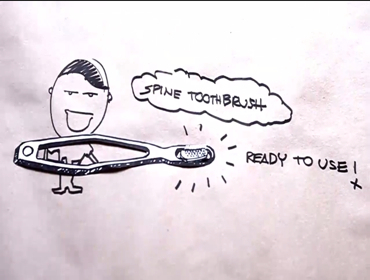 Spine Toothbrush focuses on addressing plastic waste problems from industrial consumer products. The eco-friendly brush is a transformation from our ordinary toothbrushes. While keeping a plastic flexible stem, the Spine was built so that the brush part can easily be changed. No more worrying about having to buy a new toothbrush every three months; this brush uses the least amount of material while maintaining its functionality.